I speak an ancient language in a contemporary feminine voice. 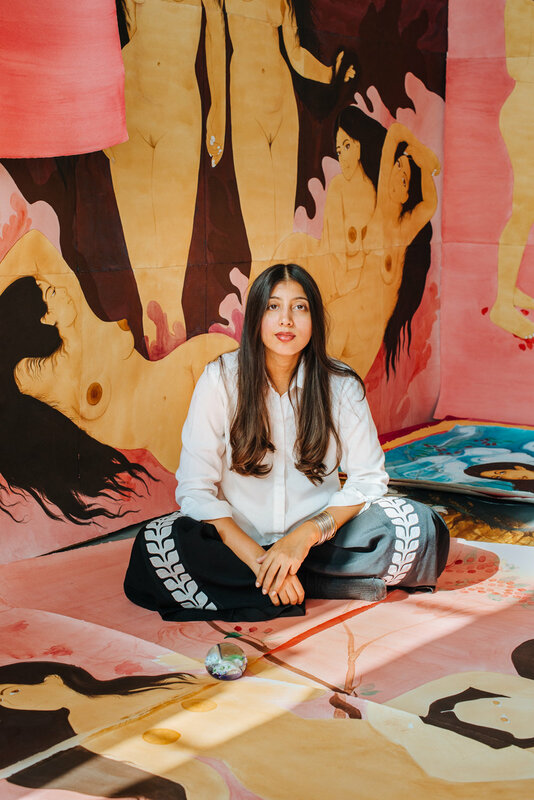 Trained in the centuries-old traditional Indo-Persian painting technique, working with imagery developed by men to tell the stories of antiquity, I aim to challenge the inflexible rules of miniature painting and recontextualize the art form to accept and embrace a female perspective. In my work, I am both the artist and the performer. I photograph my body and use these images as references for my paintings. Through the stories I create I contemplate what it means to be a woman. These works addresses issues of personal freedom, destruction, sexuality and censorship by unveiling the beauty, fragility and strength of the female form. Meticulously ornamented and vividly colorful, the miniature draws the viewer in. I pursue the world of the beautiful in my work, resulting in visually appealing paintings. This delicate allure is underscored, however, by an unsettling tension. Things are not quite what they seem.